I worry about my job security in the public sector. I worry that I can’t leave the hangnail on my thumb alone and will result in me peeling off all my thumb skin. I worry my exposed thumb will give me restless leg syndrome. 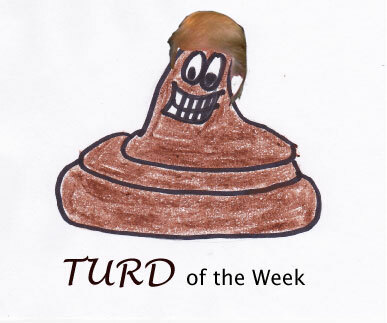 And I worry that my devoted readers will think I put no effort into my Turd of the Week™ segment by naming Donald Trump Turd of the Week™. 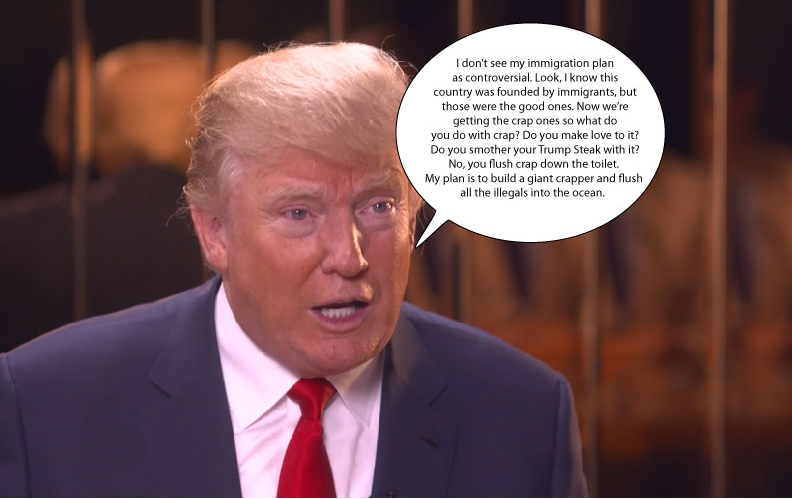 Calling Trump a turd is akin to calling a rose a rose or Trump a shameless self-promoting megalomaniacal dickhead. Nonetheless, readers, nonethemore, his turdishness stood out among all the other floaters in the toilet bowl by his ridiculous announcement of his upcoming announcement of his endorsement of an announcement of announcement. 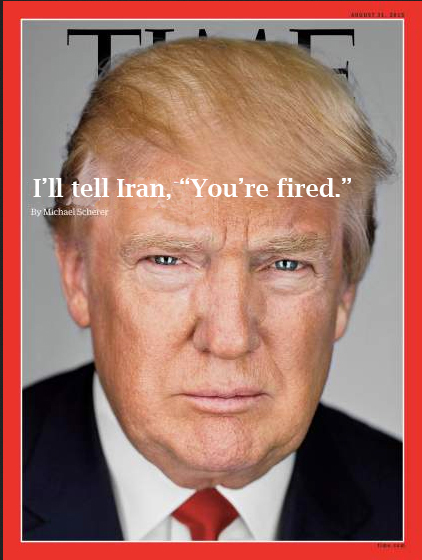 Yes, Donald Trump was going to open his big fat mouth, stretch his overused vocal cords and say something no one in the world should ever care about…..and the media was there to faithfully cover it all. 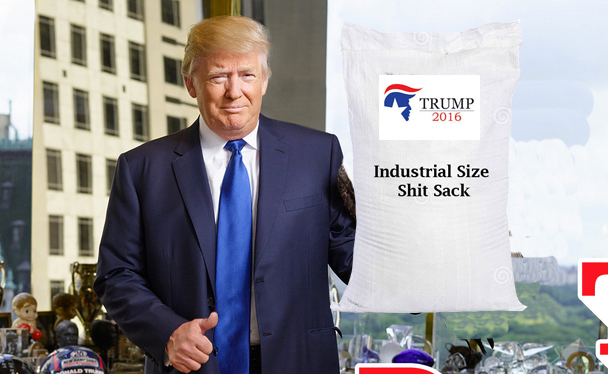 He tried to be sneaky by making some media outlets think he was going to endorse an overgrown baby for president. 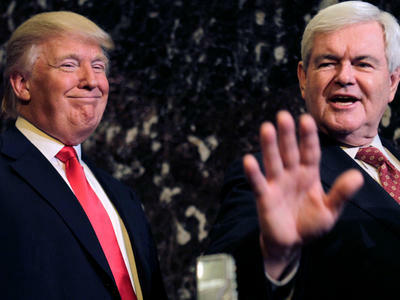 “Don’t worry Newt, ol’ buddy ol’ pal, I’ve got a spot for you on “Celebrity Apprentice XXMMVXC.” It will also feature another baby, the baby from the E*TRADE commercials. The Today show sent a turnip to Las Vegas to get the scoop. “…” said the turnip because turnips cannot speak. Others said “Trump’s a showman.” So is the guy who makes balloon animals at the county fair. 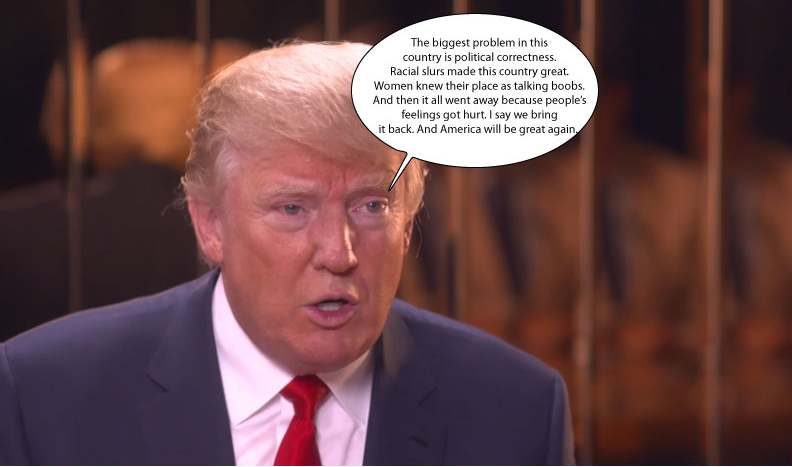 Trump had toyed with the idea of running for president himself. But then he realized it would be difficult to file bankruptcy for the entire country like he did for his own businesses. 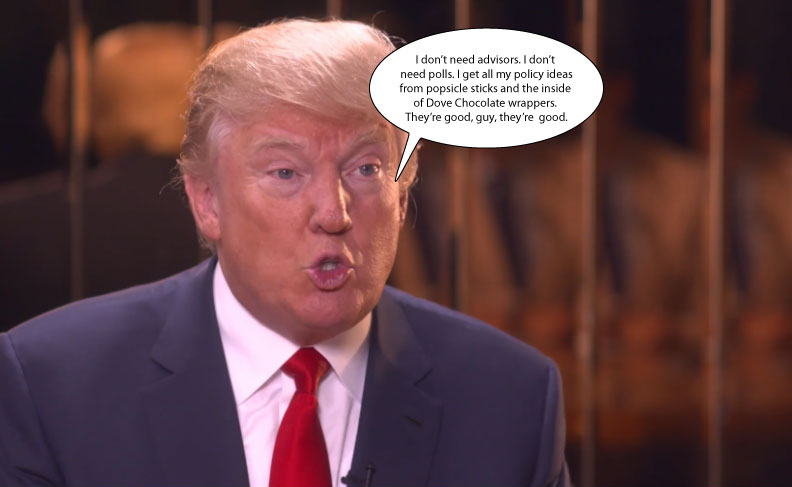 Donald Trump talked lots and lots. So do his comb-over. He mentioned China and laughter and blop. His hair flopped around with emphasis. 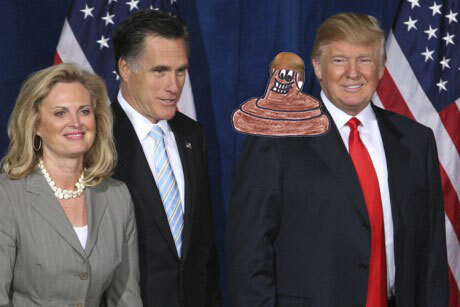 And then his hair said: “Blippetedy bleep bleep Mitt Romney” and people applauded wildly because they are paid to do so. 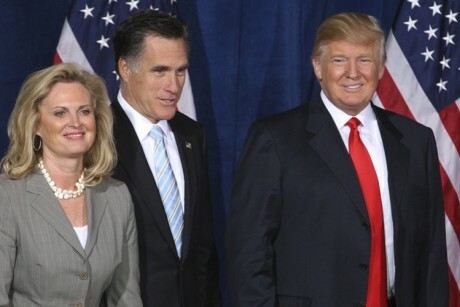 And then Trump checked out Mittens’ wife and said “And by the way this is a great couple, will you look at this couple” and people cheered somewhat uncomfortably and then awkwardly looked at their shoes. 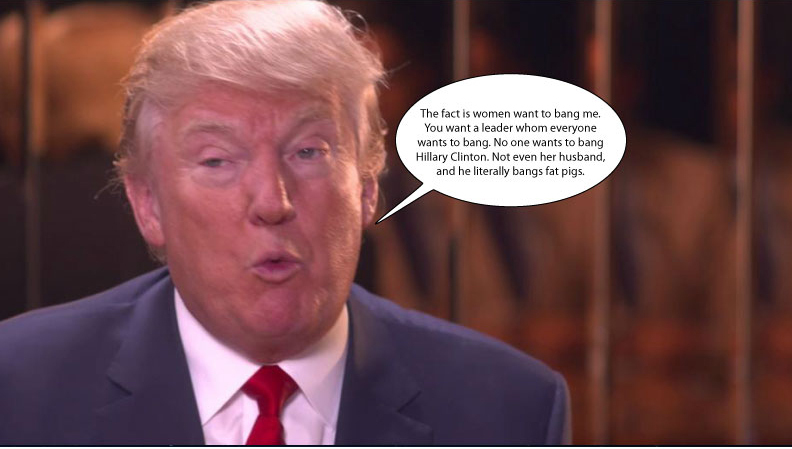 Well turded, hairpiece. Well turded.